November 27th, 2017, will be remembered as an important date for the royal family. On this date, Prince Harry took his relationship with Meghan Markle to the next level. 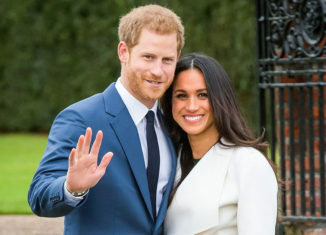 They announced their royal engagement together through various media outlets, and both Great Britain and the United States are thrilled. Harry and his fiance were introduced through a mutual friend and set up on a blind date in London. They eventually fell in love, and he proposed over a dinner of roast chicken. While Meghan Markle and Prince Harry have numerous differences, many of which shatter the image of the antiquated monarchy traditions, they seem to be compatible in a lot of ways and very much in love. Meghan Markle grew up in Los Angeles, CA and has been a successful actress in numerous works, such as Remember Me, Suits, and Horrible Bosses. Prior to her work in Hollywood, Markle received a degree from Northwestern University where she received a degree in both theatre and international studies. Perhaps even more noteworthy though is her influential humanitarian work. One of her most important and recent campaigns was her work with World Vision in Rwanda in which she helped aid the organization and the people there in need. She now plans to adopt new charities as she becomes a member of the royal family and is given the opportunity to address a larger platform to implement her charitable views in society. Aside from her humble beginnings and American citizenship, Meghan will be the first biracial woman in the royal family providing them with a long-awaited diversity. Prince Harry was born in London, England, and he is the second son of Charles, Prince of Wales and Diana, Princess of Wales. Also well-educated and willing to think outside of the traditional guidelines of royalty, Prince Harry is widely known for his astounding military work. As Prince Harry grew from childhood to adulthood, he took an interest in all things military, and in May of 2005, he enrolled in the Royal Military Academy, Sandhurst. In April of 2006, he joined the household cavalry as a second lieutenant. Similar to his fiance, he has worked with many charities, including those focused on helping children and others affected by the AIDS crisis in Lesotho. He chose to use money that he and his brother raised on the 10th anniversary of their mother’s passing for this charitable endeavor proving that the altruistic nature of the beloved Princess Diana lives on in her children. Prince Harry stated in a BBC interview that Princess Diana would have been thrilled for him and Meghan on this day. While Prince Harry and Meghan Markle come from two different worlds, they also have numerous important things in common. While the media chooses to focus on little things that go against royal tradition, like holding hands and not wearing stockings, the bigger picture here is that two people from two different continents found each other and fell in love. They are both passionate about charitable efforts and are already proving that they will help pave the way for the new generation of royals.